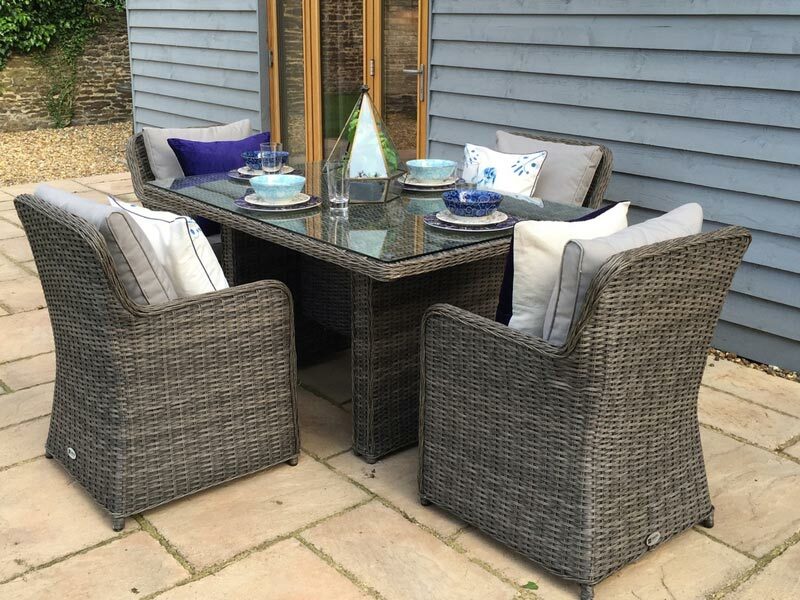 Stylish and premium quality Oakita garden furniture comes in quite many pieces including occasional tables, dining sets, coffee tables, benches, parasols, lounges, chairs, etc. All this versatile and beautiful furniture comes in both traditional and modern styles. Yet what combines them all is the durability and sturdiness. All of the furniture pieces presented by this British brand are made of the finest materials. They are built to last and provide comfortability whenever used. Choosing rattan garden furniture by Oakita you choose quality and style. All these lightweight furniture pieces are easy maintainable and color fade resistant. They are expertly crafted and designed from the finest rattan material. In the official webstore of Oakita you can choose table and chair sets, rattan seating and sofa sets, sun-loungers and parasols. The rattan dining sets have a unique luxury that is typical exceptionally to Oakita brand. The Lauren Circular Luxury Rattan Garden Furniture Sofa Set in attractive gray coloring is one of the most impressive Oakita garden furniture sets available today. Priced £1,495 (the initial cost was £3,000) this set is especially suitable for extra large luxury gardens. Featuring a tempered glass top round table and four separate uniquely carved sofas that together form a circle, this set looks more than amazing. The sofa parts can be placed just the way you wish: closer for more intimate gatherings and widely spaced for more dramatic statement in a large patio or garden. The set features white colored scattered cushions that only bring a stunning effect to the furniture set. 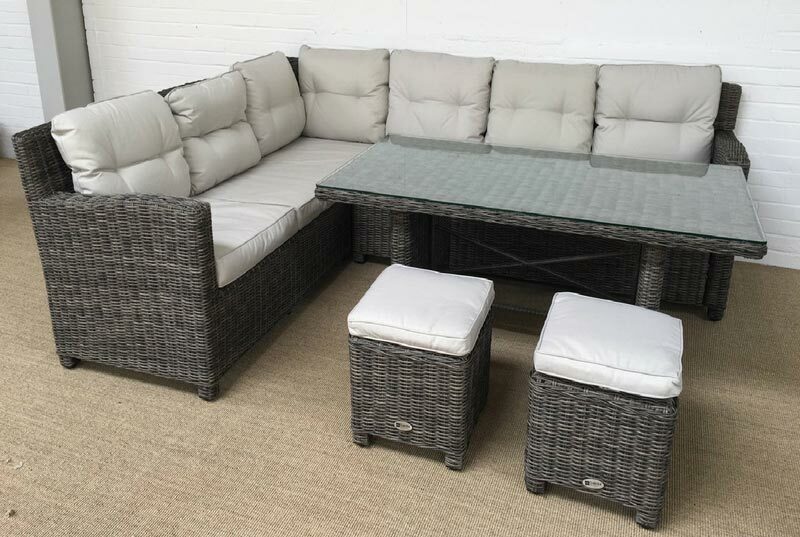 Rattan garden furniture sets: how to clean them?